The Technology Business Alliance of Nevada is proactively fostering technology business growth in Nevada. TBAN is dedicated to assisting technology-based startups, emerging and growth companies in finding the talent, customers and financing needed to be successful. Since January 2014, new city-specific domain names have started to be issued and over 60 cities have received approval for their own domains so far. The new ‘.city’ names are expected to help local enterprises boost their web presence, improve their online search rankings and increase their sales by directing locals and tourists to relevant nearby businesses. 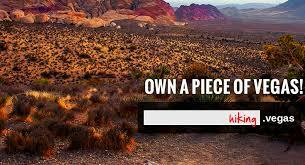 The .Vegas top level domain is the result of seven years of hard work with the community and the Internet Corporation for Assigned Names and Numbers (ICANN), the governing body of the Internet, as well as considerable personal investment. A top level domain, or ‘TLD’ as it is better known, is that part of the web address that comes after the right of the dot. .Com, .Net, .Org, and now .Vegas are examples of TLDs. On Wednesday, July 16, 2014, Jim Trevino and the Dot Vegas team will be at Fogo de Chao Brazilian Steakhouse from 11:30-1:30 to talk about this exciting time for tech companies here in Las Vegas. “We are especially pleased to share our message with the TBAN tech-savvy audience because the sweeping changes in SEO, online revenue generation, and branding have implications well beyond .vegas. There is real opportunity with the new top-level domains coming to market, and we need the creativity and drive of startups, entrepreneurs, techies, and even big businesses to help us all navigate this new territory in the best ways possible,” he said. This luncheon is $45.00 to attend. Please register here: www.tban.com. Stay up to date with the latest TBAN events by joining the Meetup Group here.